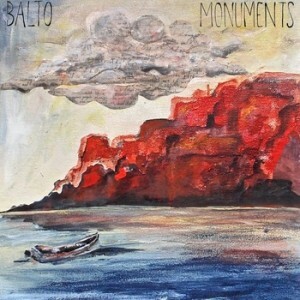 Here we are with another installment of the Before & After with a great track from New York based band Balto. If you are unfamiliar with this “Before & After” series, it focuses on a song that we have both a demo or early version and the final or album version! The song this time is Gravestones and actually spans two albums technically – from the bonus out-take/demo from the early 2011 release October’s Road to the most recent fall 2012 release Monuments – the track has definitely grown into a finished product, you could say. 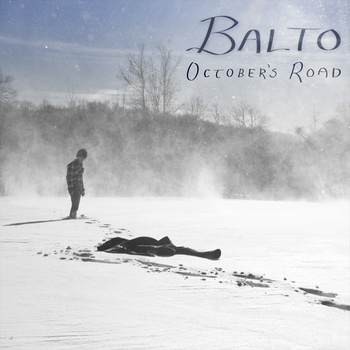 First off we have the original demo that was part of the UK release of2011’s October’s Road. Next we have the new and official track from the 2012 album. We all know that I appreciate a demo for it’s natural warmth and real feeling (good thing I like folk music, right?). While the demo for Gravestones is technically a demo in title, it is well put together and layered unlike many rough cuts of a final track. The song is even uplifting despite the subject matter of a loved one who has passed on and attempting to come to grips with the loss – or more so, not coming to grips with that loss. I especially like the banjo flecks running through both songs, a little more sparse guitar in the October’s Road version but the production of the strings in the Monuments version is stellar. I can’t even say that the songs are two sides of the same coin per se, there just may be a natural progression of a song that sees the inside of a studio or more hands on the refining process. I think this is a happy medium of not losing the original texture of the song while still giving it the polished shine a long lost treasure deserves. Regardless of which you decide you prefer you can’t go wrong – Gravestones doesn’t get unearthed with a revision…so to speak. I guess I don’t have a preference in this instance.